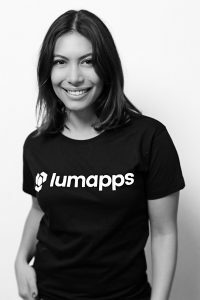 At LumApps, we believe women have a crucial role to play in the tech industry and we do our best to ensure equal opportunity. It was high time for us to get involved in the movement. What is ChickTech and ACT-W? 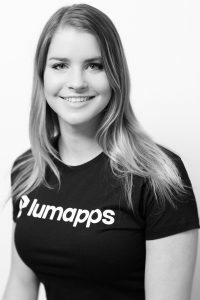 LumApps hires talented women in all our teams, whether it’s Product Design, Engineering, Sales or Marketing. 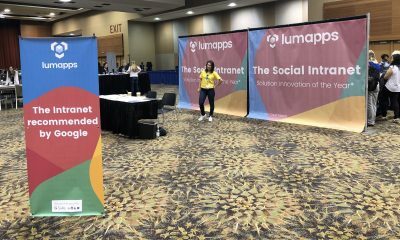 Even though we’ve been walking the walk, it’s now time for LumApps to take on a speaking role for women in tech. 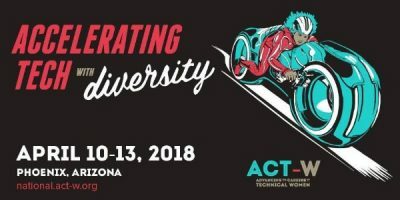 We’ve decided to participate in the next ACT-W National 2018 in Phoenix, AZ, and partnered with ChickTech to organize our sponsorship and attendance. The national organization ChickTech is presenting the conference this year. Founded in 2012 and with multiple chapters across the United States, this association is dedicated to supporting and educating everyone in the technology industry, especially those who identify as women. It’s both a career and a support network! We’re starting strong for our first ACT-W National conference as a Gold Sponsor! This editions takes place in Phoenix, Arizona over three days, April 10-13, 2018. 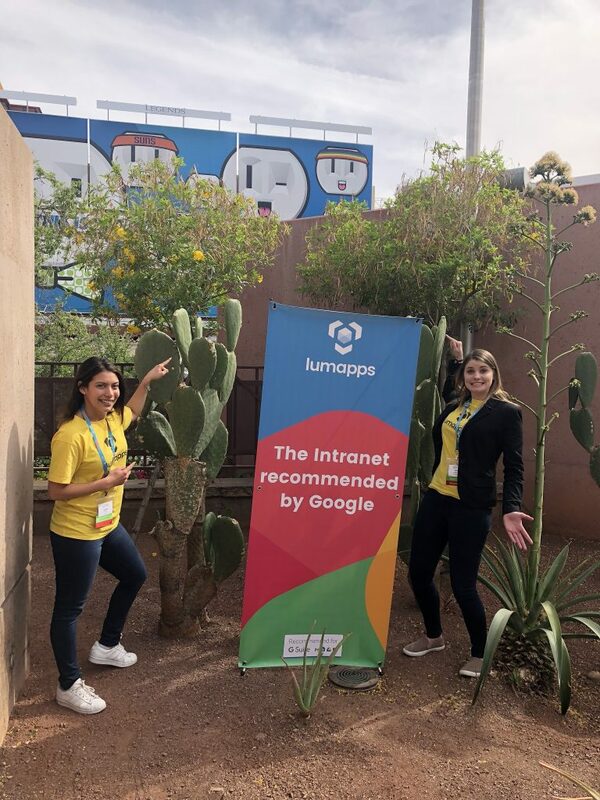 Our dream team Kaily and Jezzica made the trip from their respective Austin and San Francisco offices to represent LumApps! 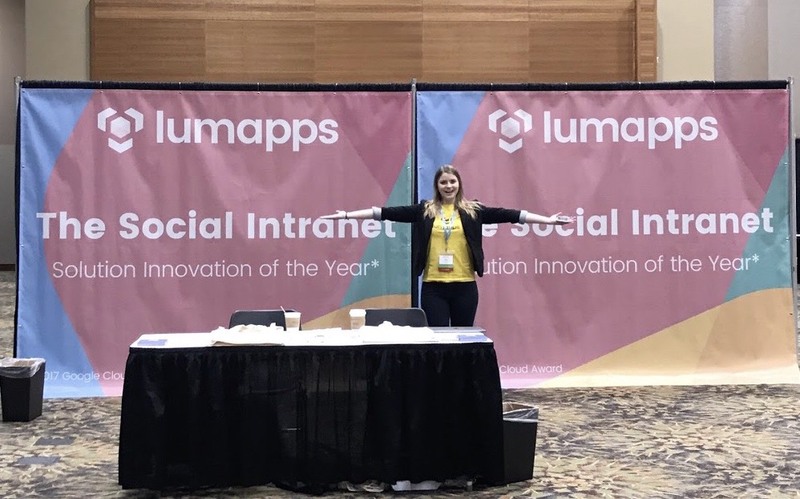 You could catch them at the Wednesday Breakout Session (April 11, 2-3 PM), where they spoke about Employee Engagement and Social Advocacy. Network and learn from experts who have succeeded in their field! We’re excited to join 60+ speakers including distinguished keynote speakers such as Lilian Chen – Interaction Designer at YouTube Gaming, Nikita Mitchell – Senior Manager at Cisco and Janice Levenhagen-Seeley, ChickTech’s CEO. It’s time for your tech career advancement! Here are some pictures of Kaily and Jezzica onsite!